Not sure what to do this May Bank Holiday weekend? …come and visit us at the Salcombe Crab Fest. We will be there with our New ‘Tangoed‘ Ballistic 5.5 RIB, Ballistic 4.3 RIB and the Ballistic 7.8m RIB with the Plymouth Boat Exchange; we will be in Salcombe from Saturday the 5th May to Monday the 7th of May, it would be great to see you enjoying the beautiful Salcombe and the Crab Fest. Let us know if you are planning to visit …call us on 02392 397 000. Whats more we would like to invite you to our Famous JBT Taster Day on the 12th May 2018. 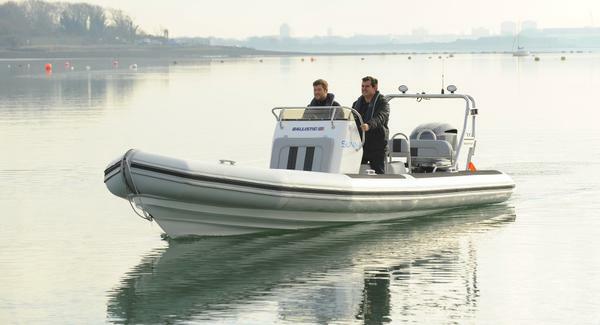 The JBT Taster day, is the perfect opportunity to get out on the water and try our amazing range of Ballistic RIBs, you can also see our selection of Brokerage and Second hand RIBs as well as the wonderful facilities we have here at Trafalgar Wharf, including the Trafalgar Wharf Boat Club. Call us on 02392 397 000 to book a place on this great event, which is completely free of charge!